Do you worry about making mistakes? Are you afraid to try in case you fail? Do you make do with your life because you are afraid of change? It doesn't have to be this way. 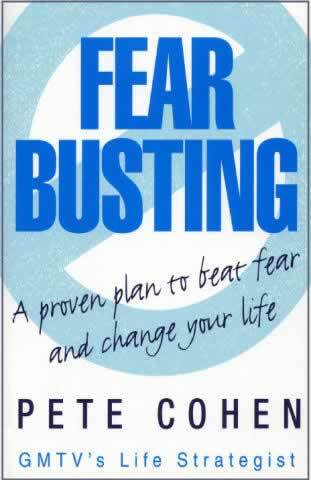 In Fear Busting, GMTV life strategist Pete Cohen introduces simple techniques that give you the confidence to overcome any fear and seize your personal power, so you can experience self-confidence and happiness in everything you do. By following Pete's motivational plan, you can change the way you see your life, so that challenges become chances, threats become opportunities and no obstacle is insurmountable. 'Pete Cohen's ability to help people transcend their unwanted habits, fears and phobias is amazing. With his methods, so very much is possible.' Dr Hilary Jones. 'I've seen Pete make a difference to people's lives and I believe he can make a difference to yours.' Roger Black, MBE, former Olympic athlete.